Remember a couple of weeks ago when I shared Tiffany Jones Interiors with you? You all loved her work, and oh my goodness it was pinned and pinned and pinned. And, I wasn't a bit surprised. Tiffany is an amazingly talented designer in Dallas, and I'm very excited about her new blog. You'll be happy to see that I've got her here today as my guest. Hello TPP Fans! 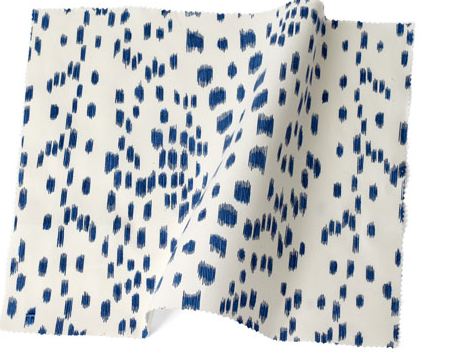 I am so excited to be guest posting today on Blue & White Monday and bringing you my current favorite Blue and White fabrics. I hope you will enjoy the collection. I always think adding a little "animal" to a room is a great way to update and add a "wow" factor. My current favorite is Les Touches by Brunschwig & Fils. It looks like a modern leopard print and I think it is fabulous! The sophistication of Jim Thompson is amazing. His fabric designs are like no other. I find them so modern and updated...In fact, I have just purchased these two for pillows in my living room! I cannot wait to see them. 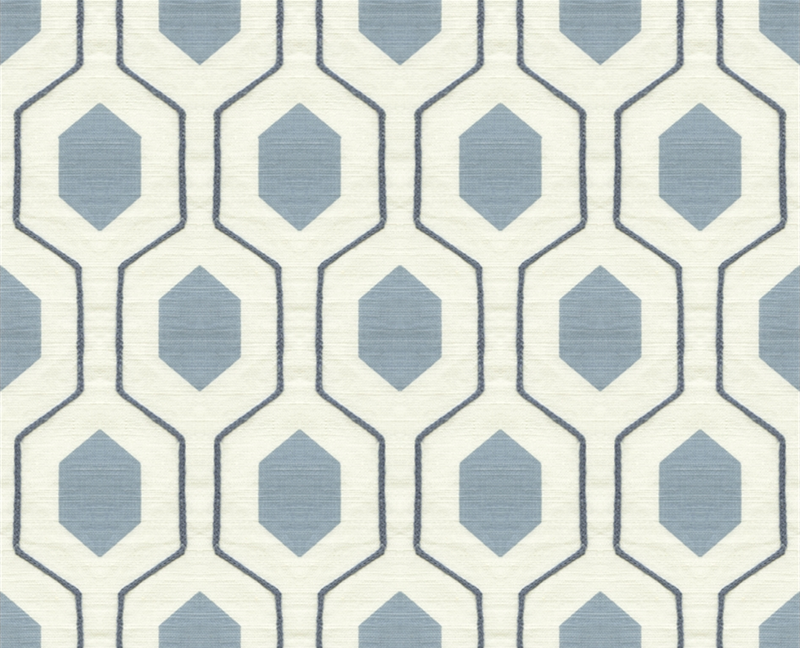 I have 2 current favorites from Quadrille. I adore the "freshness" of both of these China Seas patterns. They are so crisp and clean and make me so happy. 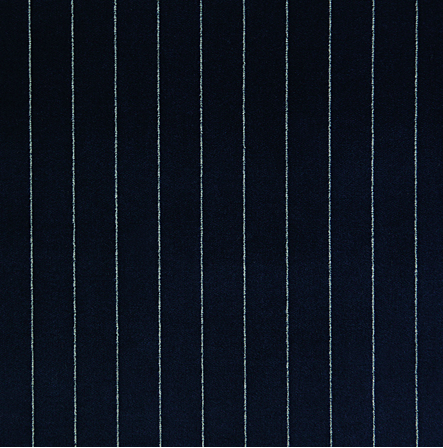 This Navy Blue velvet with white pinstripes from Pindler and Pindler makes me want to curl up with a good book and spend the day in front of the fire. It is so luxurious. I must find a place to use this in my house! 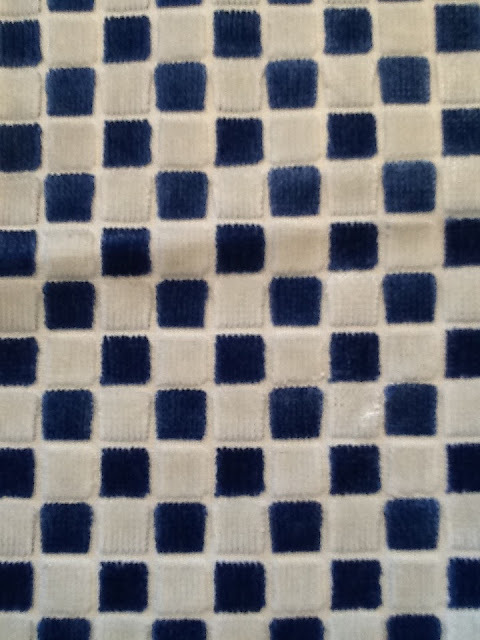 And speaking of velvet... this modern blue and white check from Telefina is amazing! 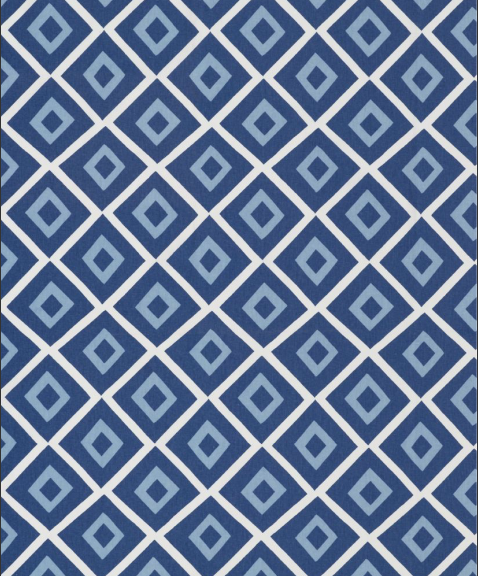 A great blue and white geometric pattern from the Thom Filicia Collection for Kravet has it all...A classic pattern plus a raised embroidery embellishment. Absolutely stunning. This modern, geometric fabric from Thibaut's Avalon Collection is so French and yet so sassy. I have been admiring this since the collection launched and I am dying to find just the right project to give it a home! 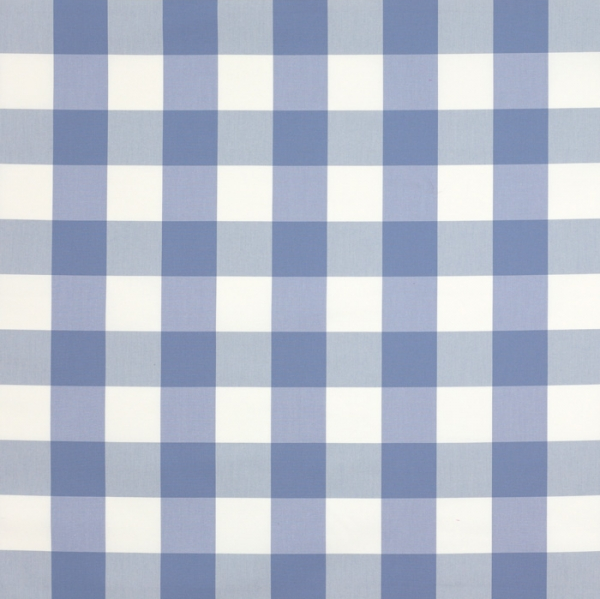 In my world, it doesn't get any better than a blue and white buffalo check. It is just so classy and timeless. 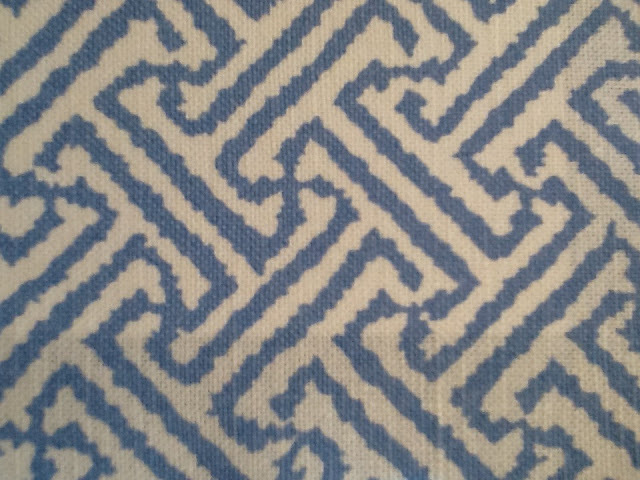 My very favorite of all is this one from Manuel Canovas. The color is perfection in a "french blue". Absolutely heaven. 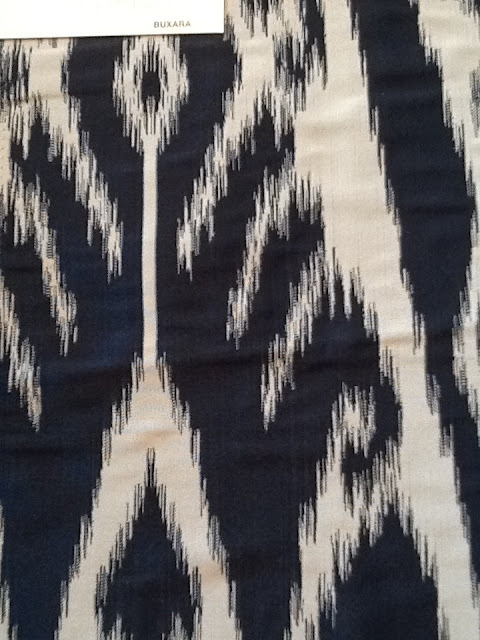 Thank you, Tiffany for sharing these gorgeous fabrics with us today! Tiffany has a website, Tiffany Jones Interiors, where you can see her lovely work, and her fantastic new blog can't be missed. Her Pinterest boards are incredible, too! 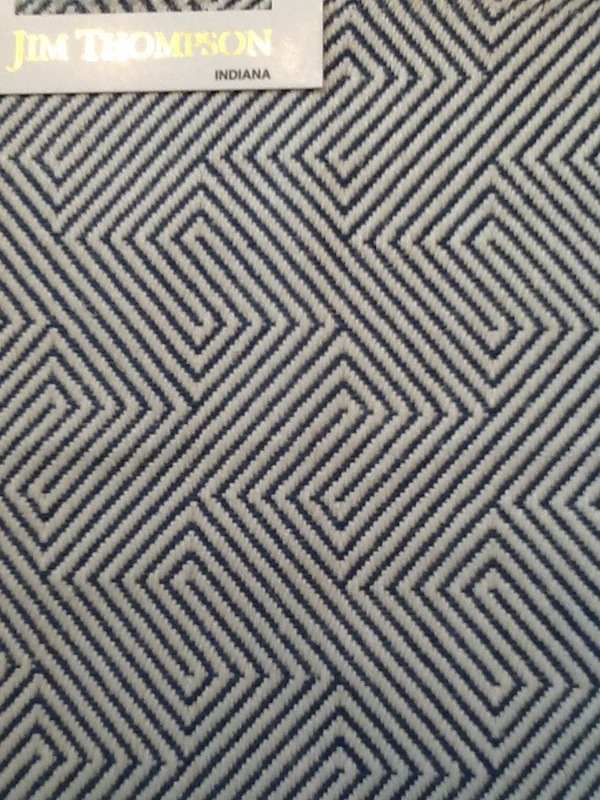 So, as to these beautiful fabrics Tiffany's shared. Do you have a favorite amongst them? They're all fabulous, and I can't choose just one. 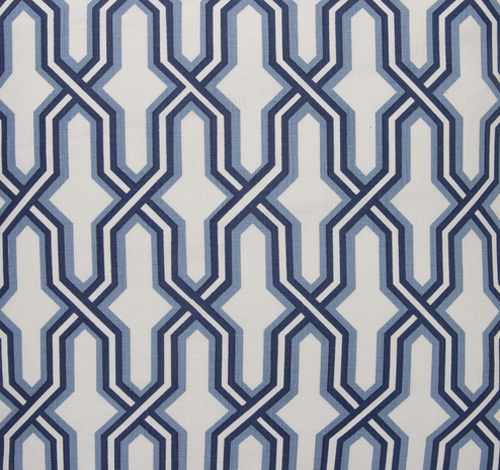 My top three are the Brunschwig & Fils, the China Seas Gorrivan Fretwork and the Manuel Canovas.